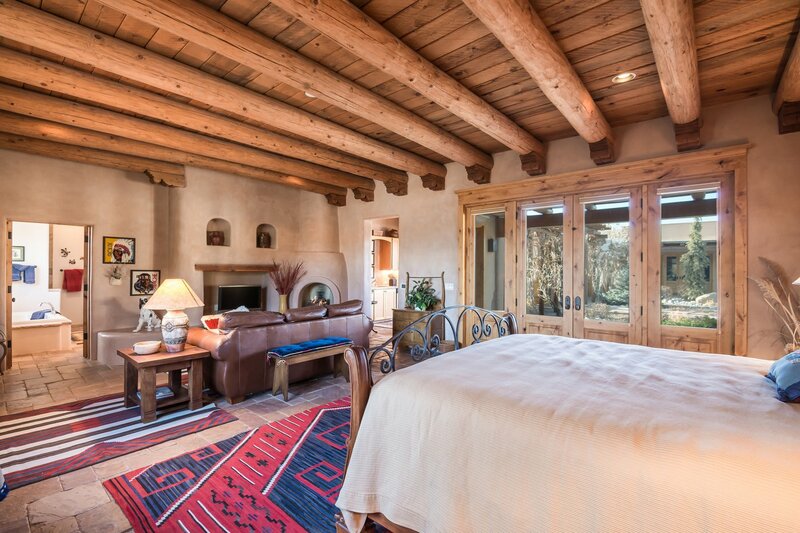 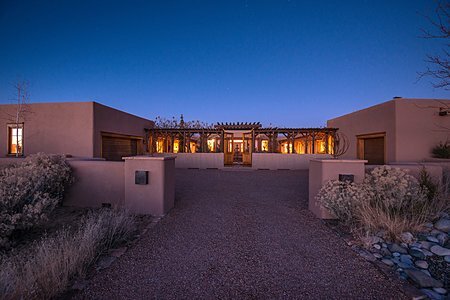 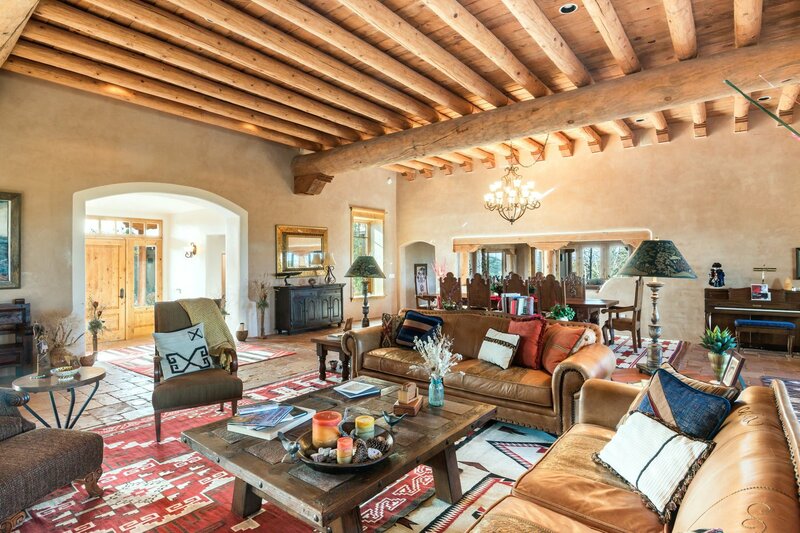 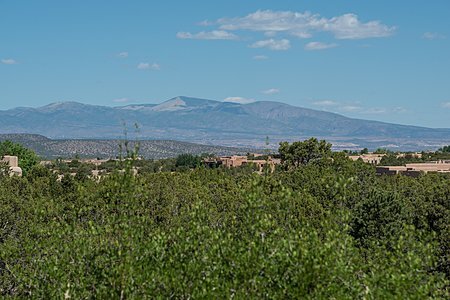 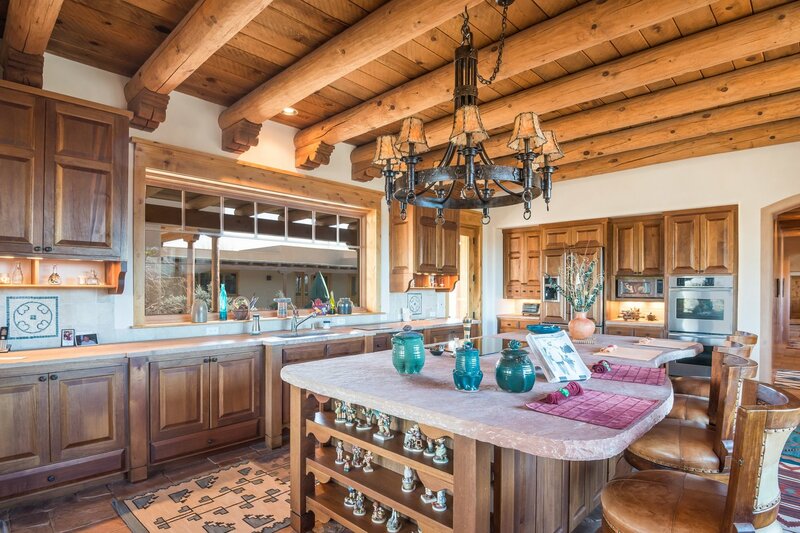 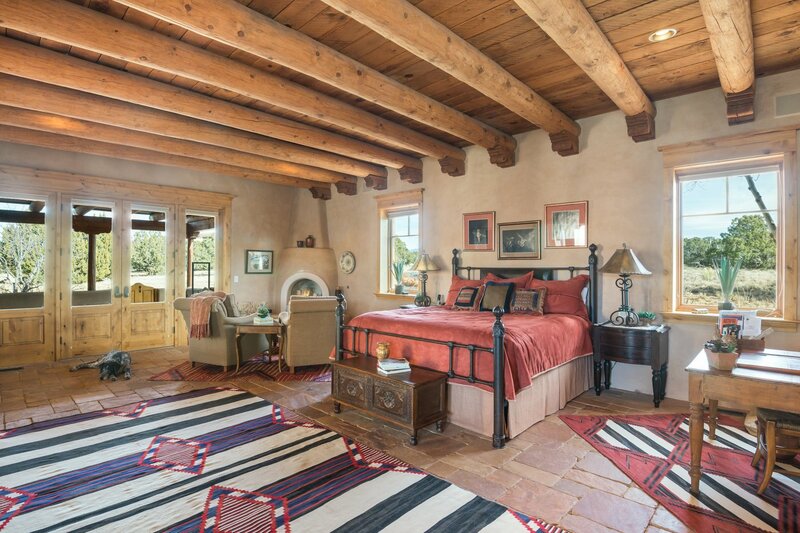 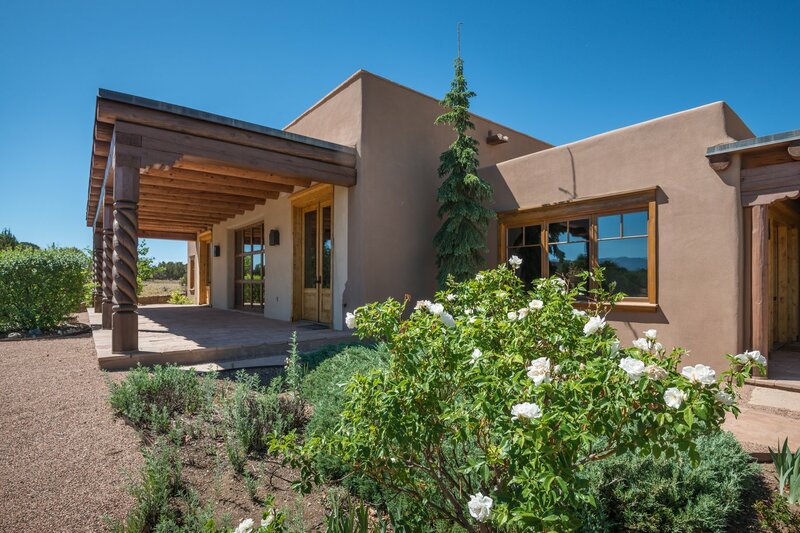 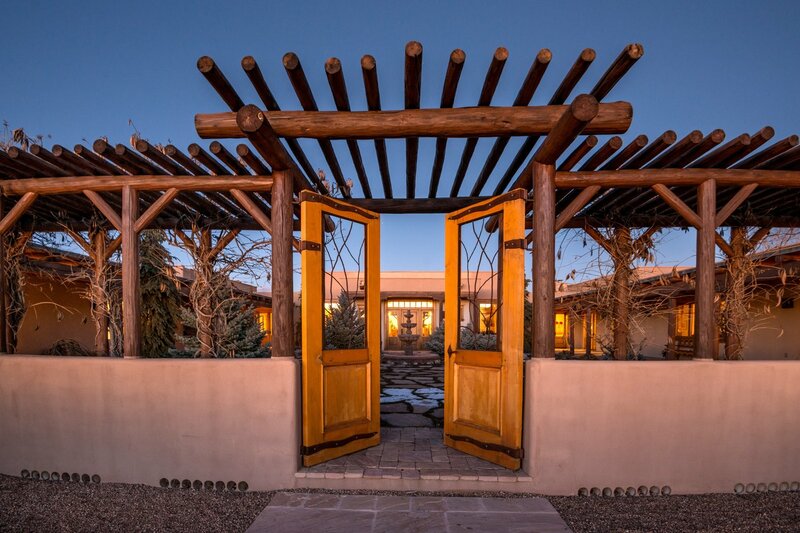 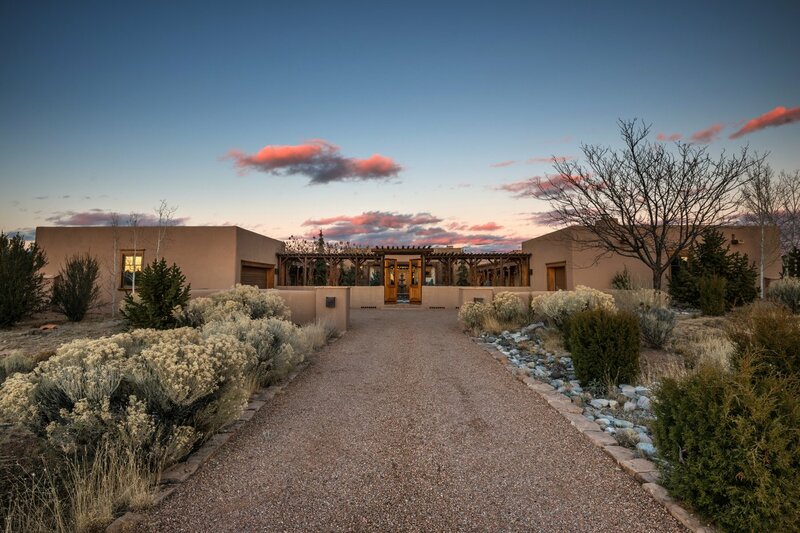 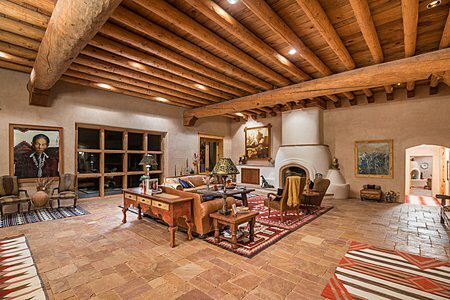 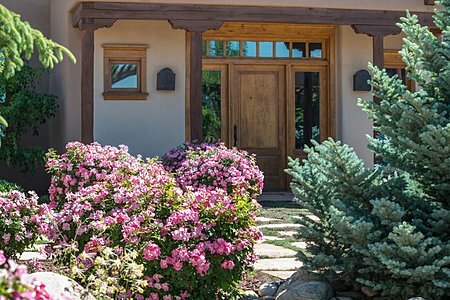 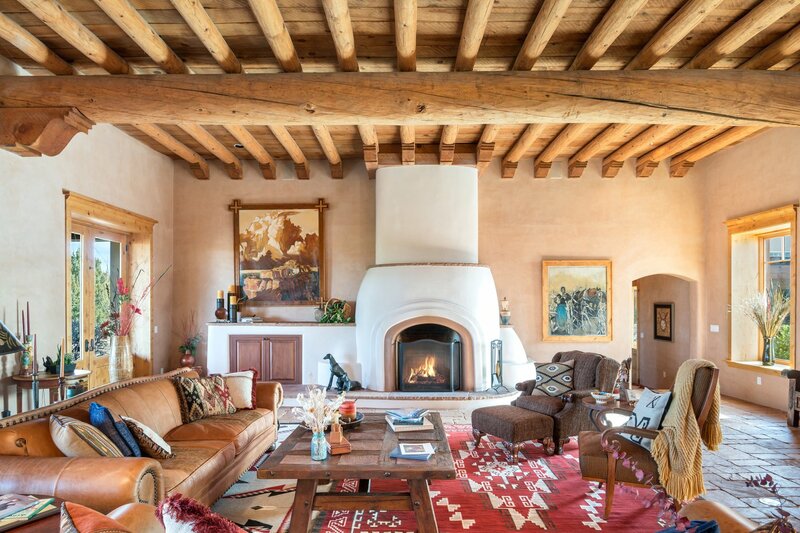 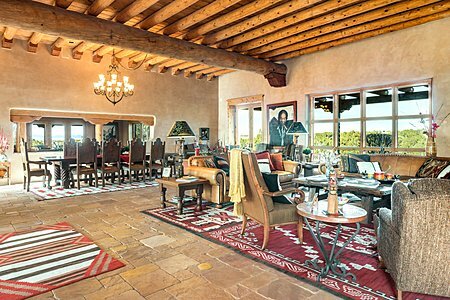 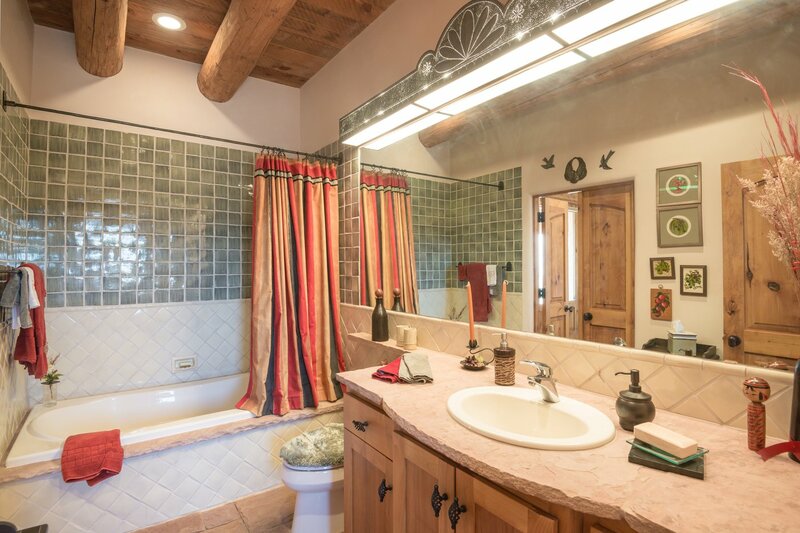 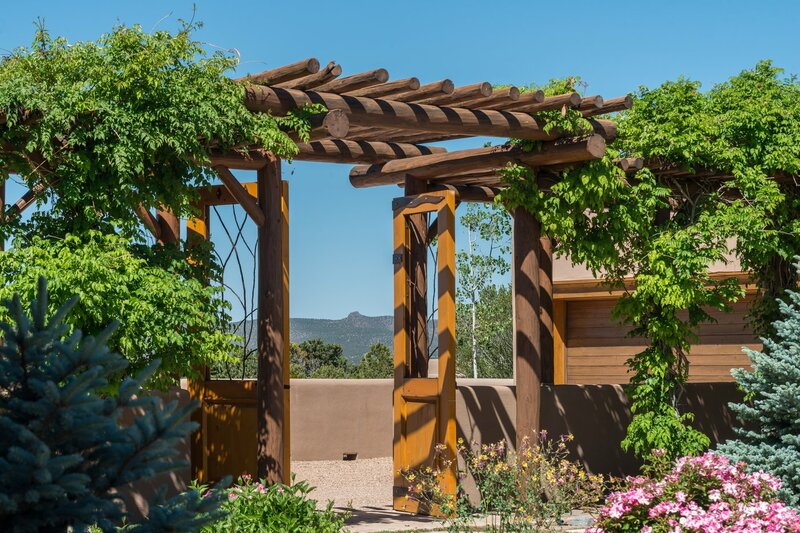 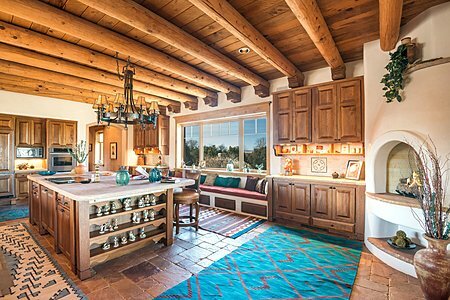 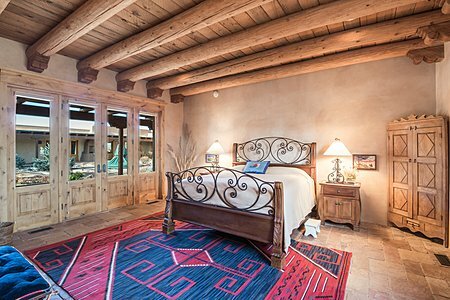 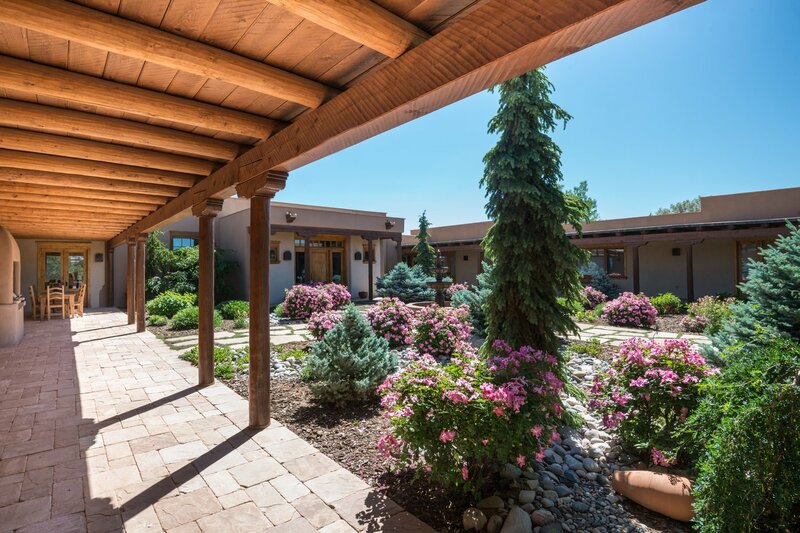 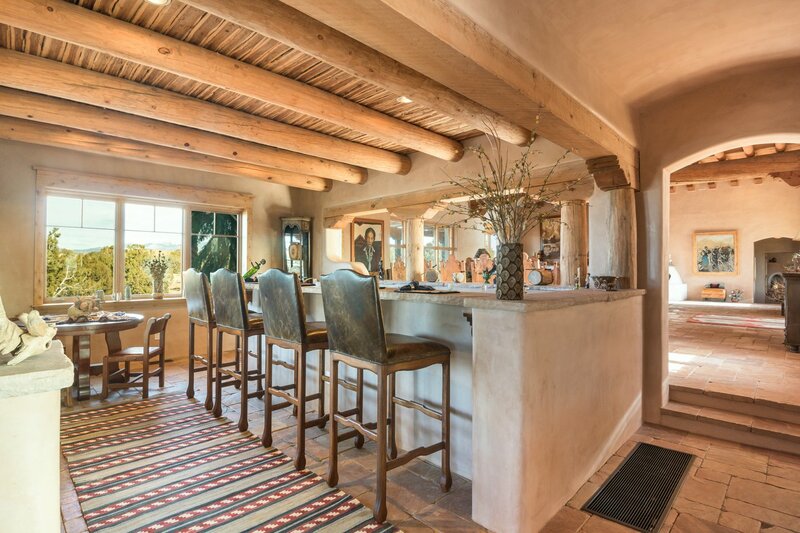 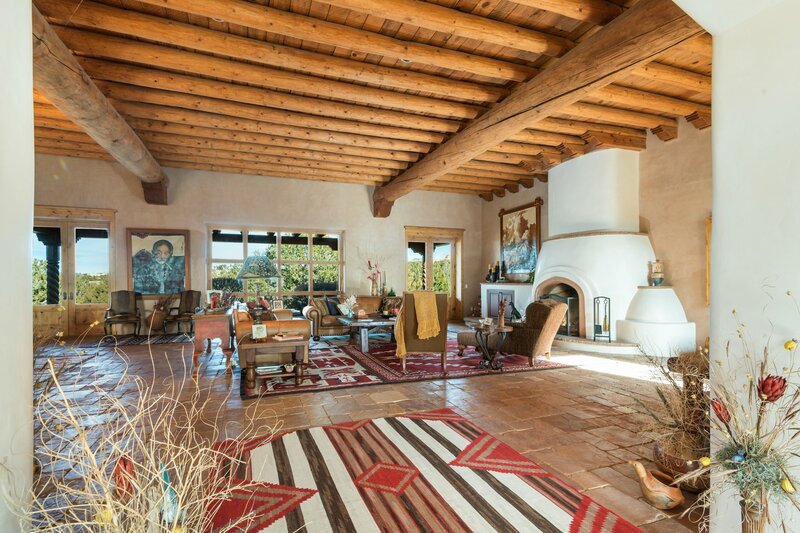 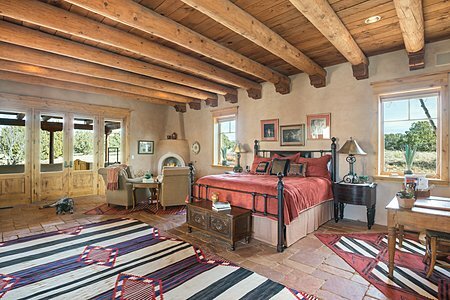 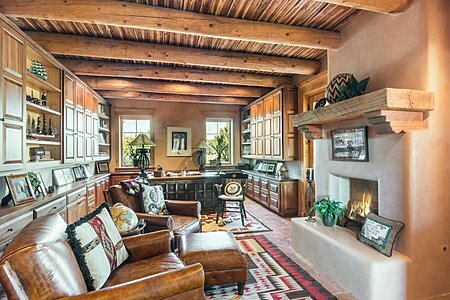 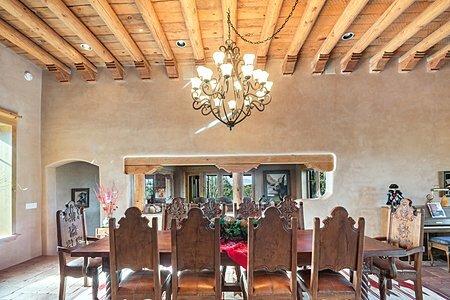 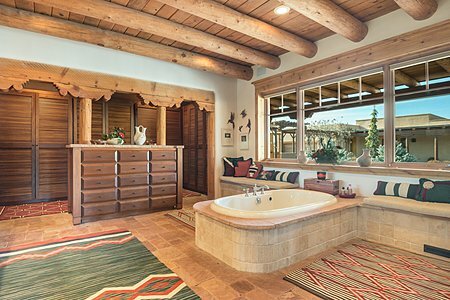 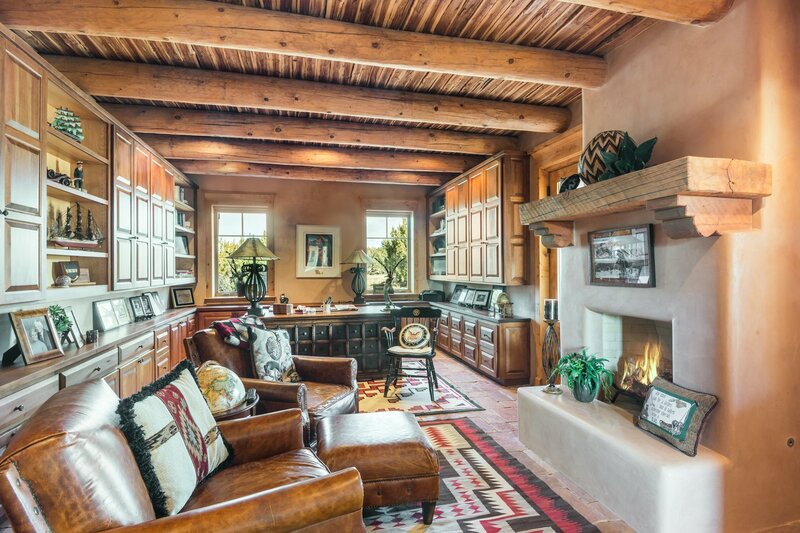 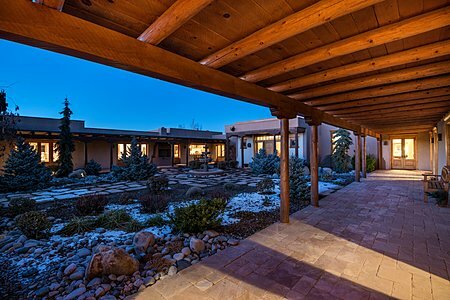 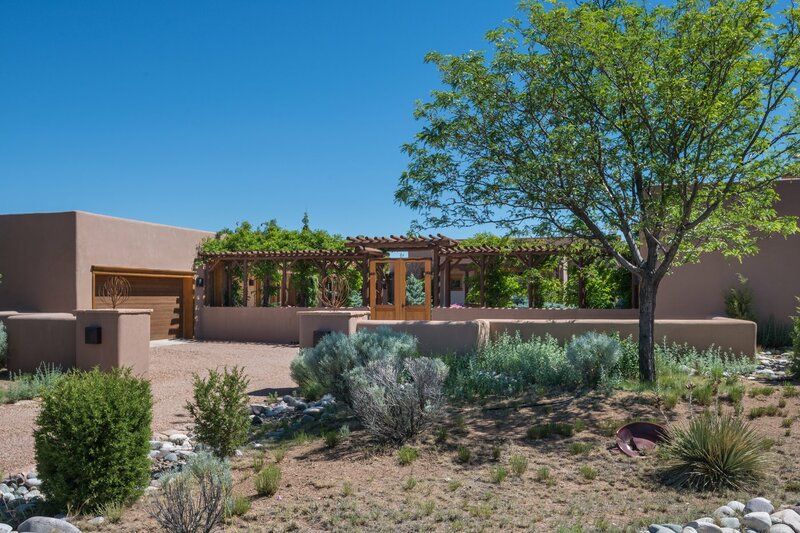 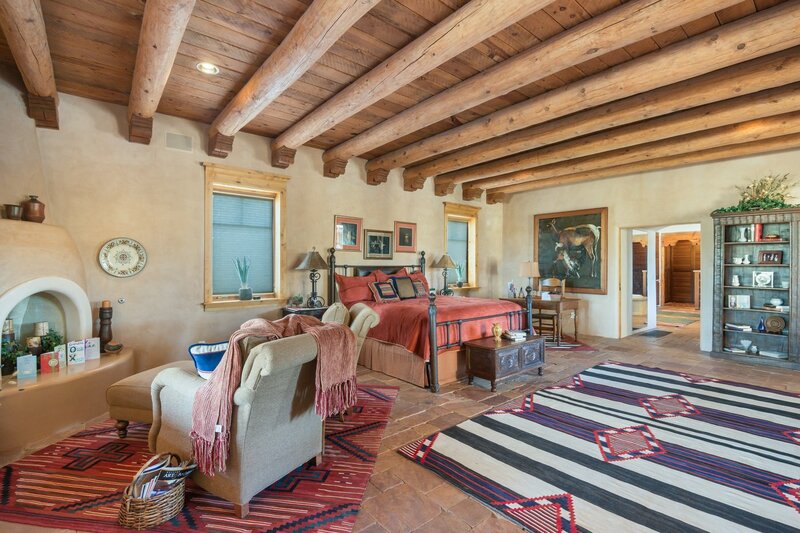 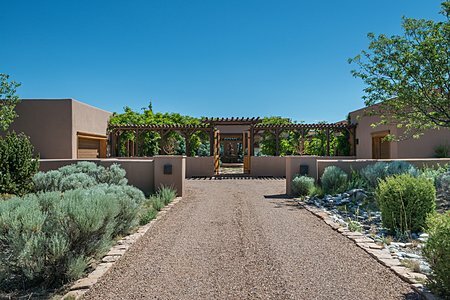 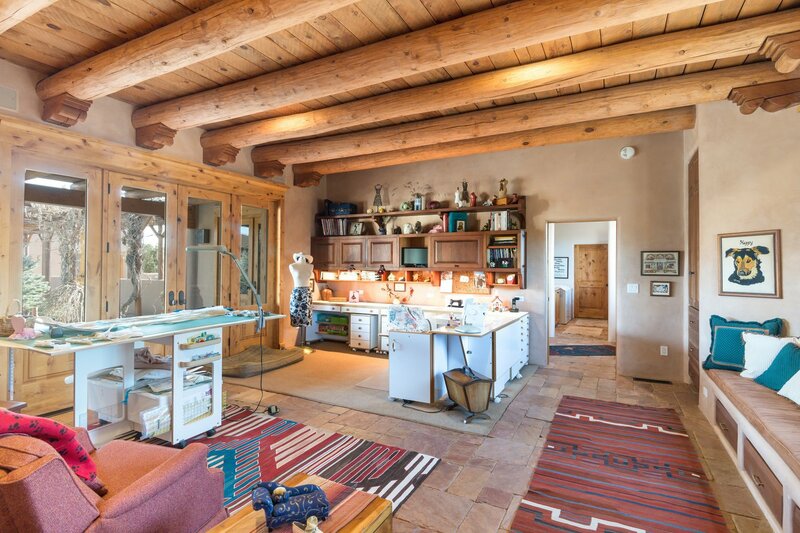 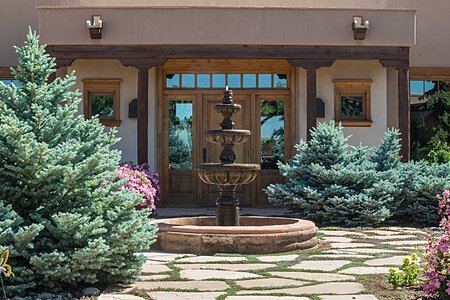 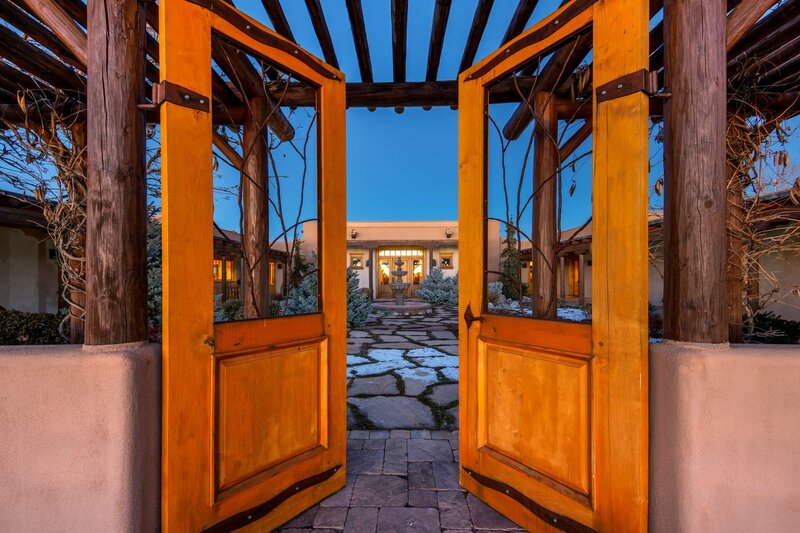 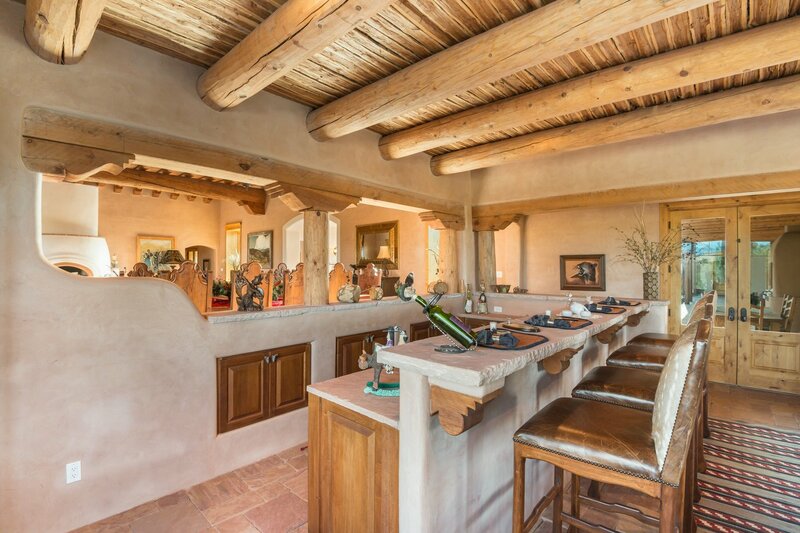 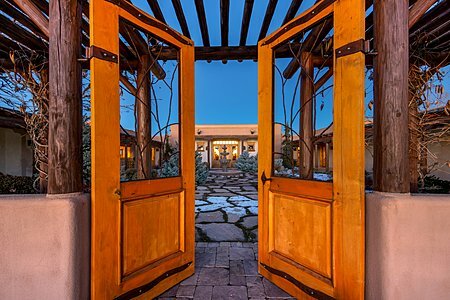 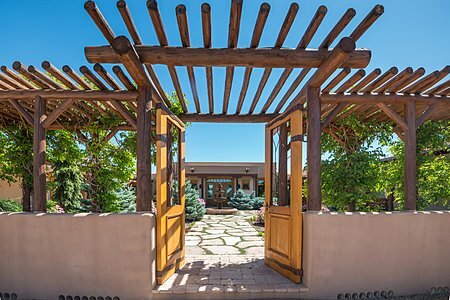 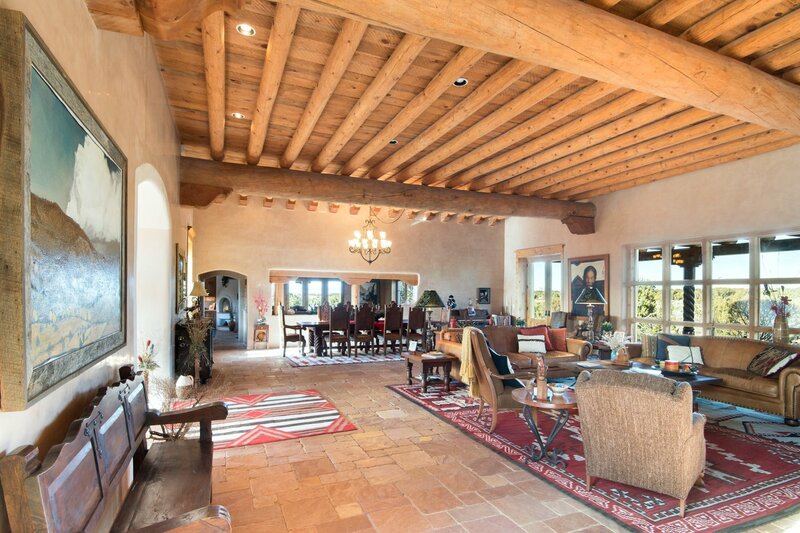 This adobe hacienda, designed around a central courtyard with a fountain, boasts superior-quality construction and outstanding finishes throughout. 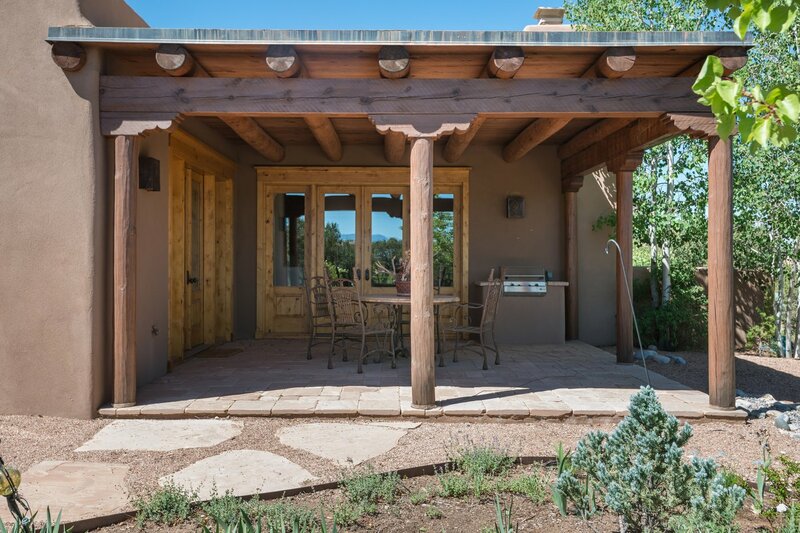 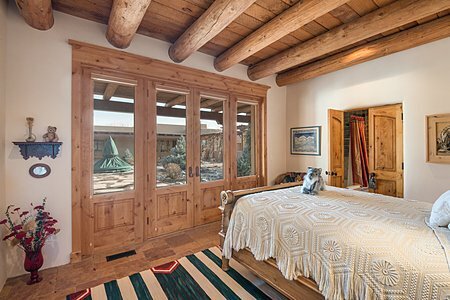 Nearly every room overlooks the courtyard with living spaces open to roughly 3,000 square feet of portales, and picture-perfect windows thoughtfully positioned bringing the outdoors in. 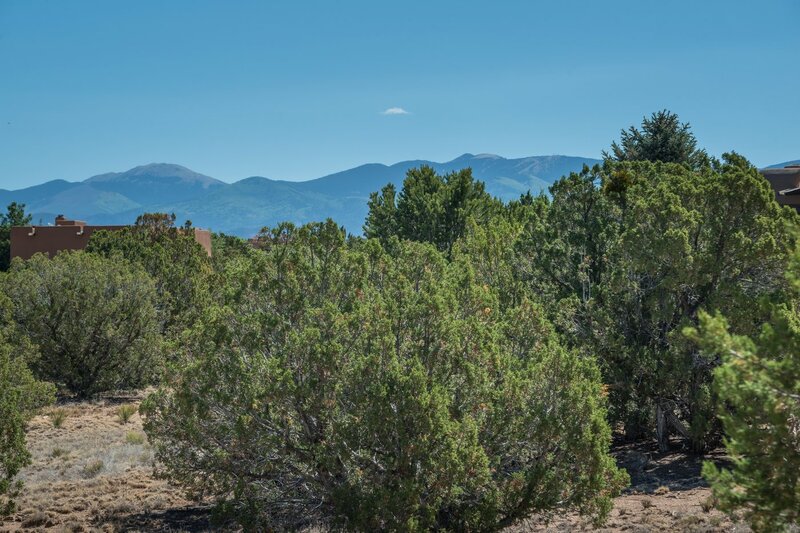 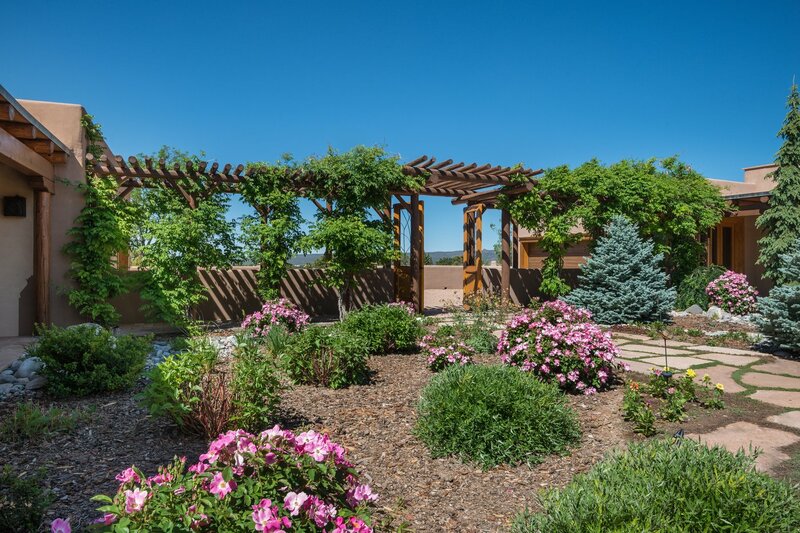 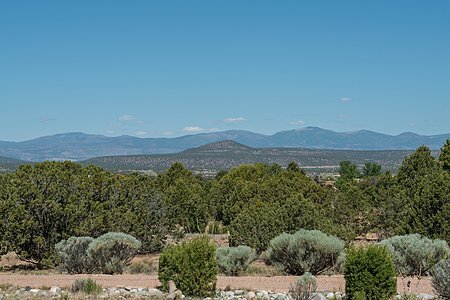 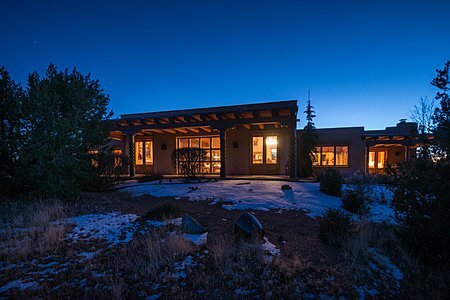 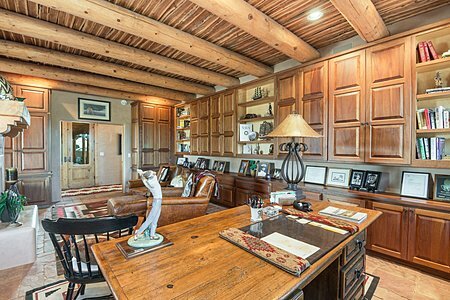 Built in 2005, the air-conditioned main home includes a great room with soaring ceilings, providing an abundance of natural light and extensive views of the grounds and the majestic mountains. 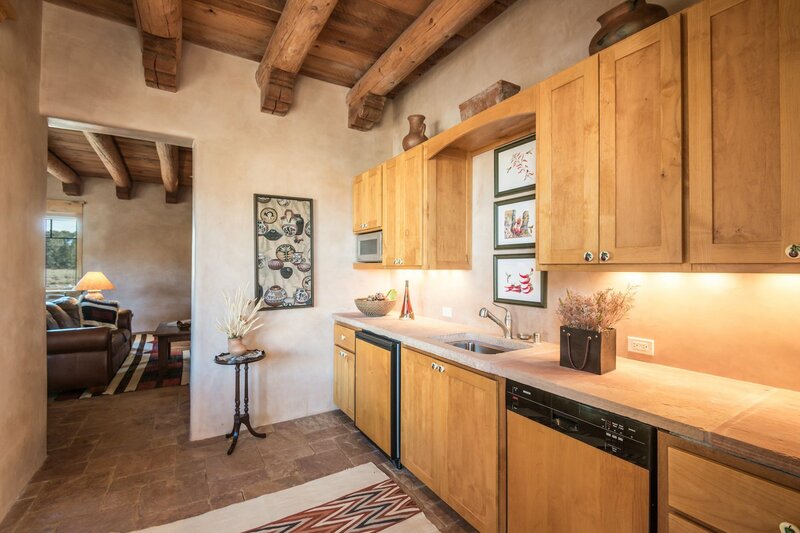 The master-crafted kitchen features a kiva fireplace, ample space for informal dining, and access to portales and courtyards. 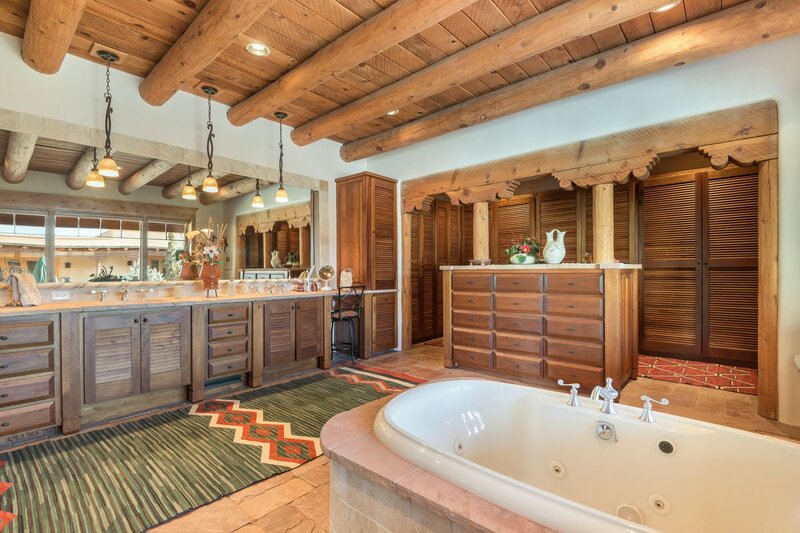 A stunning master suite is privately located and includes an expansive bath and impressively outfitted closets. 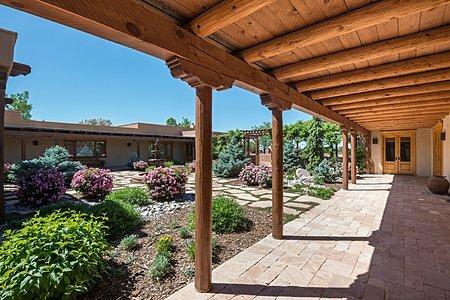 In this wing is an elegant yet comfortable library. A guest suite and a spacious studio are located in a private wing. 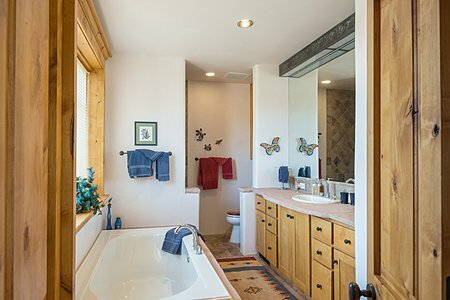 Completing the picture is a separate one-bedroom guesthouse. A membership to the Club at Las Campanas is available but not required.